What Socially Appealing Beverage is Available for Non Drinkers? There is a new and exciting product for non-drinkers, light drinkers and drinker’s alike—non-alcoholic, healthy elixir. We understand that non-drinkers sometimes seem like the odd person at a party or gathering where most everyone is drinking alcohol. The crowd may see you as boring or awkward and not fitting in with most of the other guests at a gathering. The truth is that many non-drinkers have chosen not to drink for health reasons and answering each person who questions you about why you are not drinking can be very exhausting and embarrassing to some people. Blüm Beverages are non-alcoholic, healthy elixirs from natural botanicals with superb flavor, color and taste for the sophisticated non-drinker. The packaging could fool anyone because it looks like a very nice bottle of wine. Both the Uplift Blend and the Zen Blend, when served in a drink glass or a wine glass appear like regular wine with an extraordinary flavor. This is not only the answer to non-drinkers at social gatherings. Some people are light drinkers and only consume one or two alcoholic beverages but then want to have transition drinks. Blüm Beverages come into play for this scenario also as a transition drink for light drinkers. A person can continue to have drinks of this extraordinary wine, without other people in the social circle realizing that it is alcohol free. 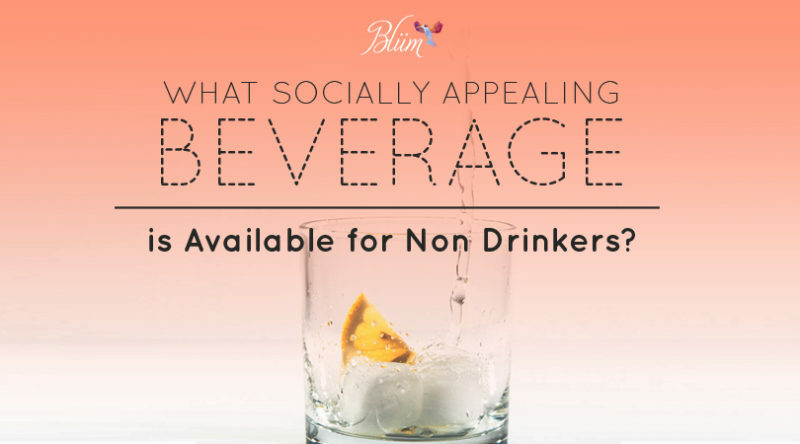 Blüm Beverages are so tasty that drinkers love to add clear spirits to it and use it as a very healthy mixer. Other mixers, such as soda, or juices are loaded with calories, sugar, dyes, and artificial sweeteners and seem to weigh your drinks down. This tasteful non-alcoholic wine is very smooth when used as a mixer and it adds all the flavor you want to a drink without the unhealthy benefits of heavy mixers. When using it as a mixer you can add different garnishes such as lemon, lime, strawberries or any fruit of your choosing to make a decadent drink that is still healthy. This healthy alternative to alcoholic wine can reduce your risk of heart disease, lower your cholesterol and reduce your risk of having a stroke when you consume it rather drinking beverages with alcohol in it. Blüm Beverages are the perfect pairing with all of your appetizers and dishes when you are having a dinner party. This is a great product to stock for your next party that you are hosting to give everyone a choice of a delicious beverage like a full-bodied wine without the guilt.